This spacious home offers ample room for a young family or also a wonderful home for retirement. It offers 3 bedrooms, study, 1+ baths, permanent siding, eat-in kitchen, formal dining room and more! 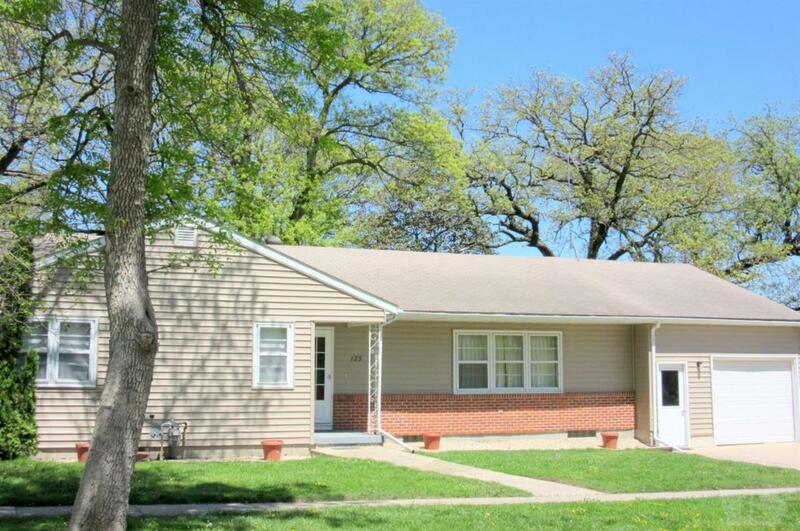 May need some updates, but offers a great footprint for convenient living. Lower level offers good space for work shop and storage. Windows Mostly Original Double Hung. Basement Type Full Basement Walkout Yes Bath1 Area 0 Bath1 Dim 0 X 0 Bath2 Area 0 Bath2 Dim 0 X 0 Bath3 Area 0 Bath3 Dim 0 X 0 Bath4 Area 0.0000 Bath4 Dim 0.00 X 0.00 Bedroom Number1 15X9 Level: 1 Bedroom Number2 15X10 Level: 1 Bedroom1 Area 135 Bedroom1 Dim 15 X 9 Bedroom2 Area 150 Bedroom2 Dim 15 X 10 Bedroom3 Area 0 Bedroom3 Dim 0 X 0 Bedroom4 Area 0 Bedroom4 Dim 0 X 0 Bedroom5 Area 0.0000 Bedroom5 Dim 0.00 X 0.00 Bedroom6 Area 0.0000 Bedroom6 Dim 0.00 X 0.00 Bedroom7 Area 0.0000 Bedroom7 Dim 0.00 X 0.00 Cooling Central Dining Room 15X11 Level: 1 Dining Room Area 165 Dining Room Dim 15 X 11 Family Room Area 0 Family Room Dim 0 X 0 Fireplace No Fireplaces Total 0 Flooring CarpetOther/See Remarks Foyer Area 0.0000 Foyer Dim 0.00 X 0.00 Heating Forced Air Interior Trim Mahogany Kitchen 15X15 Level: 1 Kitchen Area 225 Kitchen Details Built-In OvenCabinetsDishwasherEat-In-KitchenKitchen IslandRefrigerator Kitchen Dim 15 X 15 Laundry Room Area 0.0000 Laundry Room Dim 0.00 X 0.00 Living Room 30X14 Level: 1 Living Room Area 420 Living Room Dim 30 X 14 Master Bathroom Area 0.0000 Master Bathroom Dim 0.00 X 0.00 Master Bedroom 16X13 Level: 1 Master Bedroom Area 208.0000 Master Bedroom Dim 16.00 X 13.00 Office Den 16X10 Level: 1 Office Den Area 160 Office Den Dim 16 X 10 Quarter Bathrooms 0 Recreational Room Area 0 Recreational Room Dim 0 X 0 Windows Mostly OriginalDouble Hung.